Happy Fall! I LOVE Fall! 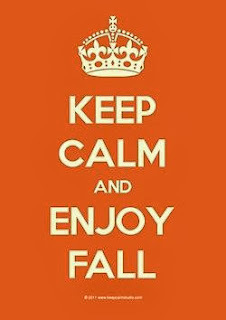 It’s one of my favorite seasons for a variety of reasons: pumpkin spice everything, fall TV shows (SCANDAL! ), sweaters, and changes of season. This will be my 2nd Fall in Miami and 4th Fall in the state of Florida. True, the weather gets a little cooler around this time but Fall is not the same in Florida. As much as I miss the change of season (Really just Fall and Spring. Not a fan of Winter) I love living in Florida and I always look for ways to still connect with the Fall Season, pumpkin spice anything helps and so does the return of all of my favorite TV shows. Besides the change of season, I feel like the arrival of Fall signals a new beginning. As the whirlwind of summer finally winds down and staff and students are settling into their routines this is a great time to take a minute and just exhale. Yes events and paperwork are piling up, you have a million meetings on your calendar, and coffee is still a must every morning. However, with a new season comes new opportunities for student engagement, new opportunities to connect with fellow colleagues and friends, and new opportunities to challenge and learn about oneself.